Super Homebuyer - I Buy Houses SUPER Fast! Complete this form for a no-pressure consultation. How fast do I buy?... SUPER Fast! In most cases I can close on your property within 3-5 business days. Are you behind on your mortgage? Job Loss? Moving? Landlord tired of dealing with tenants? Or just want to sell for any other reason… then yes, I can buy your house. Even if you are facing foreclosure and owe more than what your house is worth, I can help! My team and I are extremely familiar with your situation and can negotiate with the bank to reduce your payoff allowing me to buy the house for a fair current market value. Are you falling through the floors? Roof leaks? Fire damage? Plumbing issues? Or any other expensive renovation work needed… then yes, I can buy your house. The best part is you will not have to fix the house and you will not have to cover the cost of any repairs. I will assess the renovations needed and make a fair cash offer based on that assessment. Selling Your Home To Super Homebuyer Is Easy! Call or complete the form at the top of this page. I will personally meet you at the property for an inspection. I will make a CASH offer, and if you agree we will place the property under a sales contract. 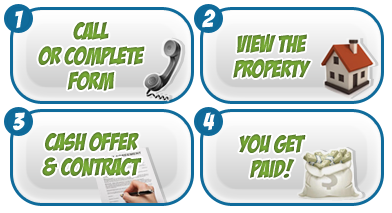 We close with a licensed title company, where you will get paid! I understand that selling your home can be extremely stressful. For this my personal commitment to you is fast and professional service. And because I do understand the urgency of your situation, I will come visit your property, provide a no-pressure consultation and give you an all cash offer. Please complete the form at the top of this page and I will contact you within 4 hours, between the hours of 9am and 7pm, or give me a call now, 813-333-9533 or Toll Free 888-SUPER-FAST.